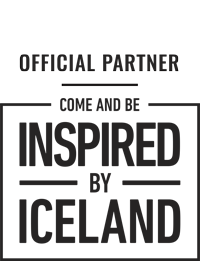 From Vikings to the World Cup and Everything in Between! Here is everything you might want to know about Iceland. From how the island formed, to the settlement of Vikings, the historical sagas, the fight for independence, the volcanic eruptions, ice ages and where we stand today. Let’s get to know Iceland! Where do Icelanders come from? Iceland the country of trees? First came Vikings then came Pirates? 1941 – The US Army takes over from the U.K.
2009 – Jóhanna Sigurðardóttir becomes Iceland first female prime minister (and the world’s first openly gay prime minister). 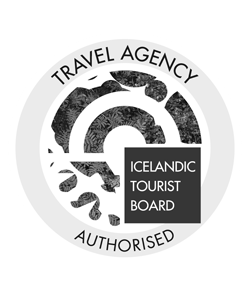 Iceland is a historical country, a country of many firsts and a country of many extremes both in the human aspect and the geological one. Iceland was settled by Vikings in the eight hundreds, Icelanders founded the world’s first parliament in 930, Iceland had the first female democratically voted president in the world, Iceland had the first openly gay female prime minister, Iceland is the smallest nation ever to qualify for the World Cup, Iceland has made it illegal to pay women less than men and Iceland has won a war! Let’s find out more about this interesting history and just why this tiny and isolated nation in the North has one of the greatest documentation of its history of any nation in the world. Iceland is located at the at a very turbulent plate interaction, where the North American and the Eurasian tectonic plates come together. Iceland emerged as a result of the plates moving apart and sliding together over the Mid-Atlantic Ridge where before was a hotspot or mantle plume. With all this inflammation rose land from sea, the oldest about 20 million years ago, those are the Westfjords. Twenty million years ago might sound like a long time but in reality, compared to other countries it is quite young. The neighboring Faroe Islands, for example, are believed to be 55 million years old! 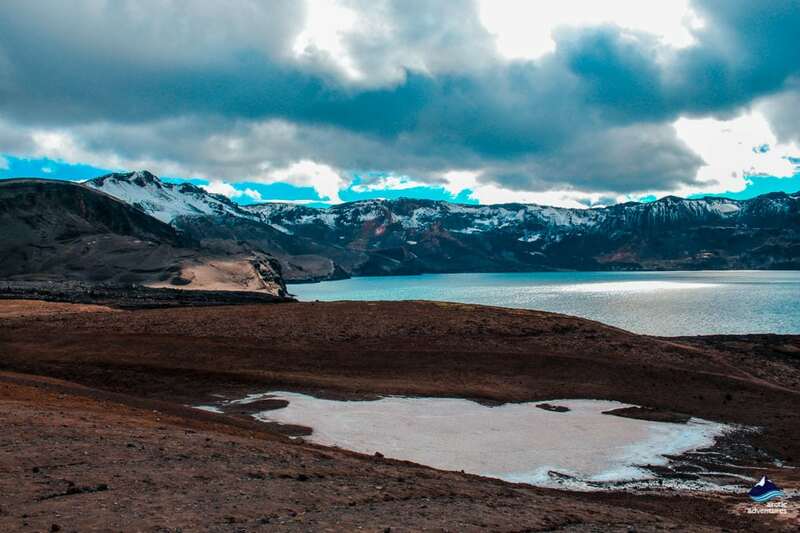 The youngest parts of Iceland are in the southwestern corner and at the center of the Highlands but they are only believed to be about 700 thousand years old. 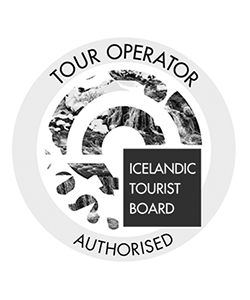 Iceland geological history is influenced by the ice ages that have come and gone, the temperatures and the climate. The last ice age started around 70 thousand years ago and lasted for 60 thousand years. During this period Iceland was covered with a large ice cap which sculpted the fjords and valleys you see today all around the country. Some of the deeper valleys and fjords had already been formed or cut out by the previous ice ages but were reshaped by the latest one. Icelanders are a nation of Vikings (and the people the Vikings brought with them). This, along with amazing information about the characters and the way of living in the settlement days we mainly take from one book. It has been a vital source in the recollection of the Viking times and is one of Iceland’s most beloved literature. The book is called Landnámsbók or the Book of Settlement. It is a manuscript categorized into five-parts and tells the tale of the Norsemen who came to discover the land and later settle here in the 9th and 10th century. The book covers an amazing range of area and people, listing over 3000 individuals and 1400 settlements. It is filled with family trees and anecdotal tales and reading through it you almost feel like the narrator knew someone would be reading it 1000 years later. 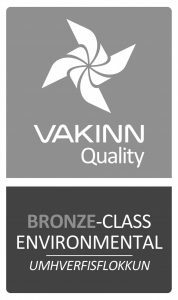 Another reason for these documents having such a strong meaning for Icelanders is that the language has changed to little during the last centuries that we are actually still able to browse through it and gather understanding. Something that our neighbors in Scandinavia can not, even though we once all spoke this Nordic language. 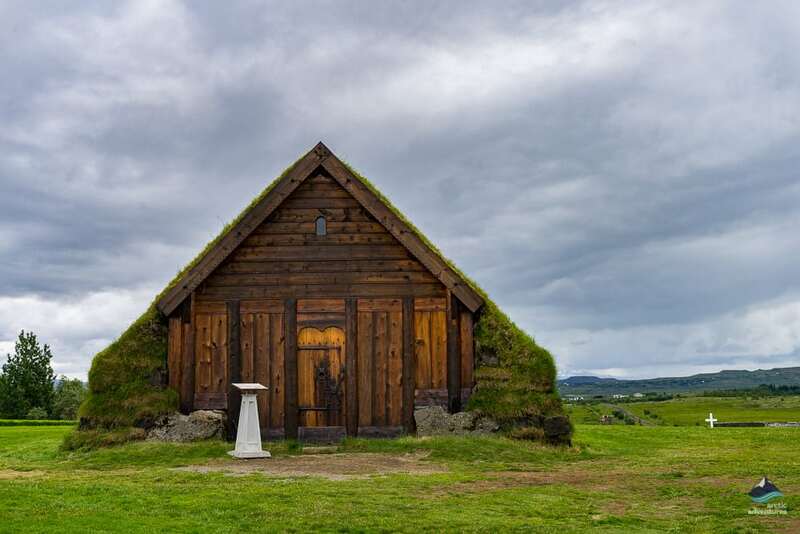 But back to the people, the first settlers in Iceland were actually not Norse, even though we always speak of it in that sense, but Irish Monks. 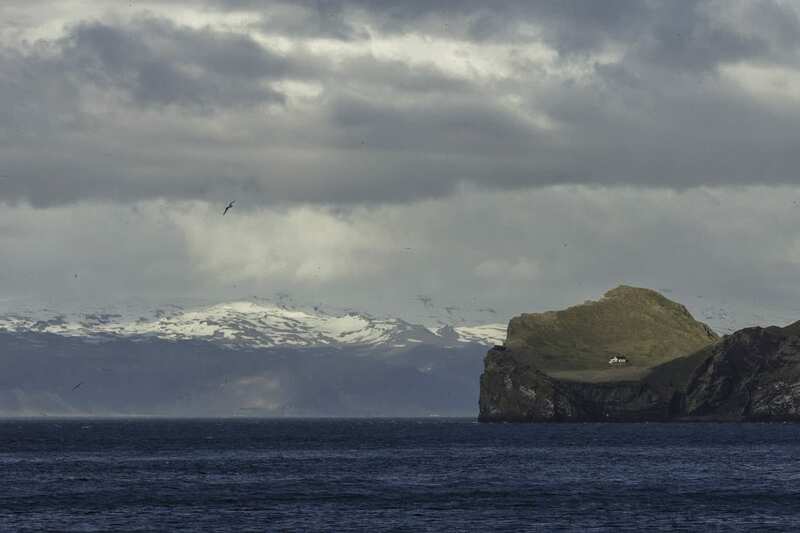 These Monks have always been nicknamed as Papar in Iceland and there is an island right out from the Eastfjords even named Papey due to their habitance. These Papar did not last in Iceland, some say it was due to their disliking of the Pagan visitors, others say it was the weather but whichever reason they left behind artifacts, books and crosses and bells proving their living on the island. These artifacts were then found and mentioned in the Book of Settlement to have been here when the Norse started to arrive. Fun Fact: Another mention of Iceland has been found prior to the arrival of the Monks and then by a man named Pýþeas from Marseille in France. Ha traveled the Northern seas between 400-300 BC. and later told tales on an island e named Thule or Ultima Thule. The first man known to have deliberately sailed to Iceland and named it was the Norse Hrafna-Flóki or Raven’s Flóki called so due to his reliance upon his two ravens. Legend says that he had three ravens with him which he used to navigate. When he had passed the Faroe Islands he set all three of them loose. One flew back to the Faroe Islands, one up into the air and back onto the boat but the third one Northwest and didn’t return. This is how Hrafna-Flóki knew there was land out there and followed the third raven. Upon his arrival at and after exploring it for some time, Hrafna-Flóki named the land Ísland or Iceland. He didn’t think much of the country and return to tell tales of a difficult land. Even so, he later returned and lived out his days in Iceland. The first man to settle for good in Iceland was Norseman, Ingólfur Arnarson, and to him, we give the credit to have found Iceland but he is closer to being the first man who really appreciated the land. He sailed to Iceland with his brother, families and slaves and as he got closer to land he set out into the ocean two carved wooden poles or pillars. His ideas was to settle wherever the pillars would land and so he did. 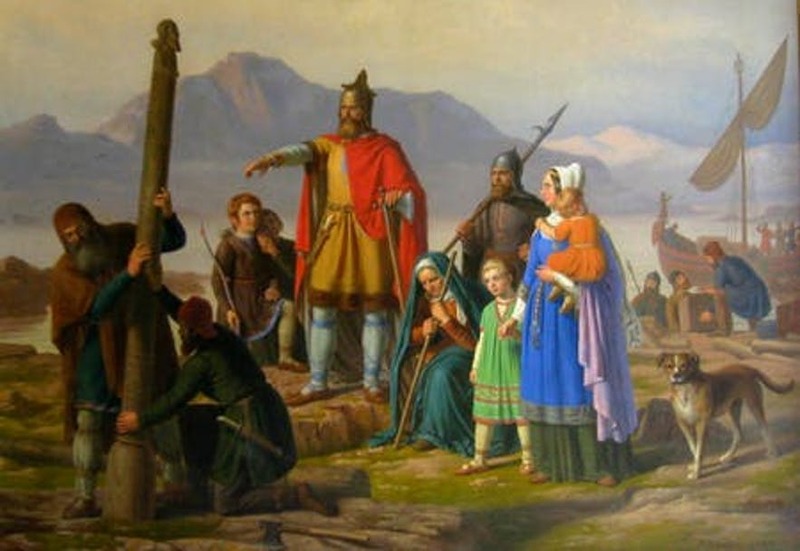 The pillars came ashore in Reykjavík and Ingólfur settled there with his family in the year 874. In 2000 ruins of a house believed to have belongs to him were found at Aðalstræti. During this time Norway was ruled by the King Harald the Fair Haired which many thought to rule by a heavy-hand and wanted to escape from his powers. This reason was ruling in the rapid settlement of Iceland which in about 60 years was fully settled. In 930 AD the country was so well manned that a parliament had to be founded to keep law and order. This was done at Thingvellir National Park and was held there for many centuries to come. This establishment is believed by many to be the world’s oldest nation-wide parliament and is still today called by the same name, Alþingi. During the first years of settlement, Iceland was covered with trees. It is actually estimated that about 40% of the land was covered with forest when the Viking started to arrive but with the harsh climate and temperatures around zero the trees were quickly cut down and used to built houses, ships, farmstead and make fire to stay warm. Within a century Iceland had no trees left and is still to this day working hard to try to grow back what was lost. Now that the trees had nearly all gone there wasn’t much to build the houses from, but like before Icelanders found another solution. The lack of trees and therefore timber was met by the building of Turf houses (sod houses). These types of houses are built by cutting up sod and piling them into the home’s interior walls. This gives good isolation and helps keep the house warm. These houses were often built into a hillside or a mountain and had to have big fires in the center. The houses were sensitive to wind and rain and had to have a lot of repairments made and often. At this time people had not learned how to use the force of the land as they know today and trading was very important. Icelanders meanly traded with Europe and the neighboring Scandinavia and Greenland. With this contact with the outside world came great influence and right about the same time were big changes having to do with religion taking place in Europe. 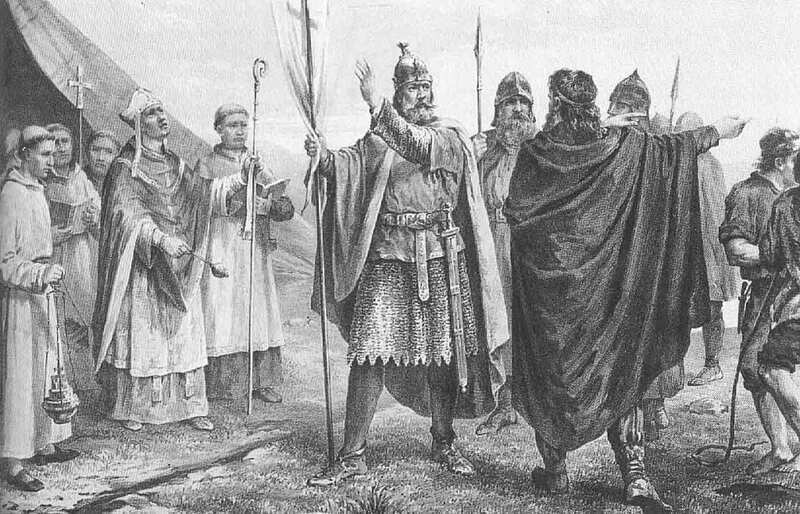 Icelanders had until this time held their Viking Pagan religion of the Norse gods but Olaf Tryggvason who had now become the King of Norway had other plans. As you may remember many of Iceland’s settlers had been people fleeing the power of the Norwegian throne and the people of Iceland would not be easily persuaded. 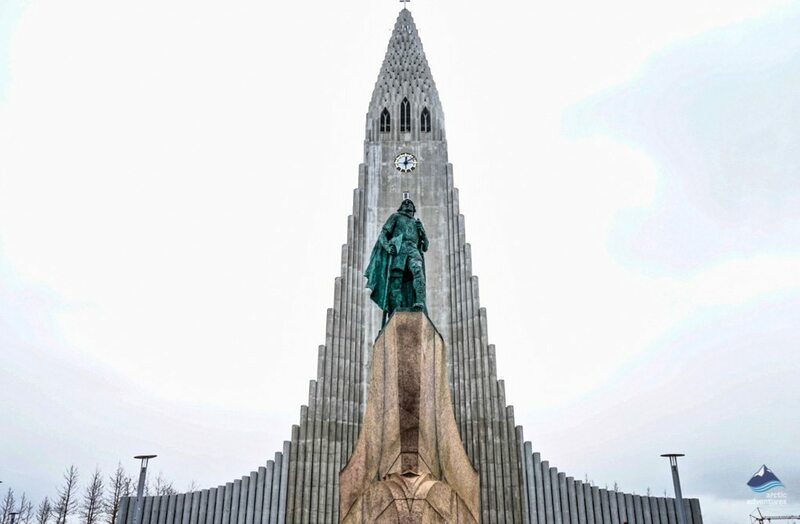 In 995 AD Olaf sent the first flock of missioners to Iceland but with little success, in 999 AD he tried again but when his second attempt was again not successful he decided to take matters into his own hands and force Icelanders to take on Christianity. This he did through closing the trading routes to Iceland and refusing all entry to the Norwegian ports. Now the people of Iceland were at a crossroad, should they fight for their Pagan religion or should they follow the Norwegian King and turn to Christianity? Almost half a century earlier the Icelandic parliament had been founded and as things were heading towards a civil war the nation turned to the parliament to seek a solution. One man, Thorgeir Ljósvetningargoði who was at this time leader of the parliament, was chosen to make this decision for the whole nation. He had a reputation of being a responsible and fair man and his decision would change the course of the nation. He took away from the crowd and lay down under fur and skins for almost a day making up his mind. Fun Fact: Icelanders, still today, have this saying “to lay under fur” when someone is making a big decision. His final decision was that Iceland was to become Christian but he made a special deal to keep three Pagan things in the culture. These three things were the Icelanders could still eat horse meat, still carry out children and still host Blót, very pagan party traditions but those were to be held in secret. 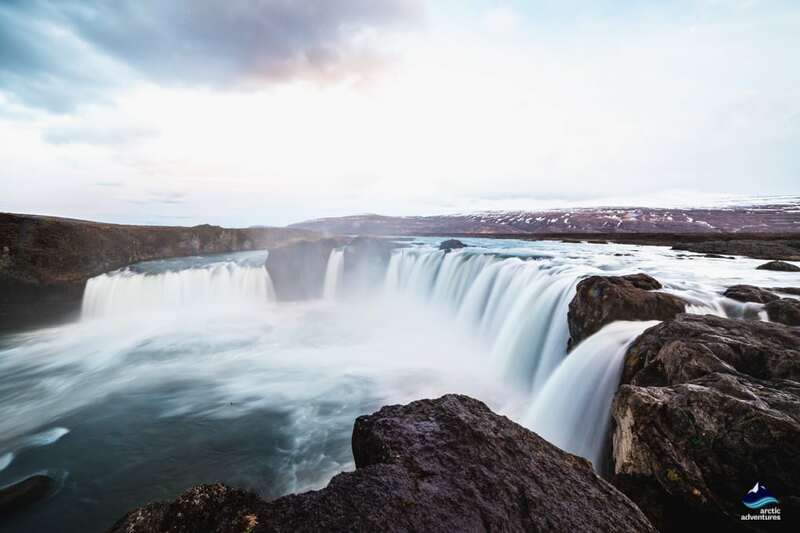 Thorgeir Ljósvetningargoði decided to make his decision final with the very dramatic act of tossing his pagan totems statues into the most beautiful waterfall in his region. This waterfall has ever since been called the waterfall of the gods or Goðafoss. Now takes place the next chapter in the history of Iceland, tales and facts provided by the next book or actually books in plural! This was the time of historians and their tales of the struggles, the romance, the acts of revenge and settlement of the Icelandic people. 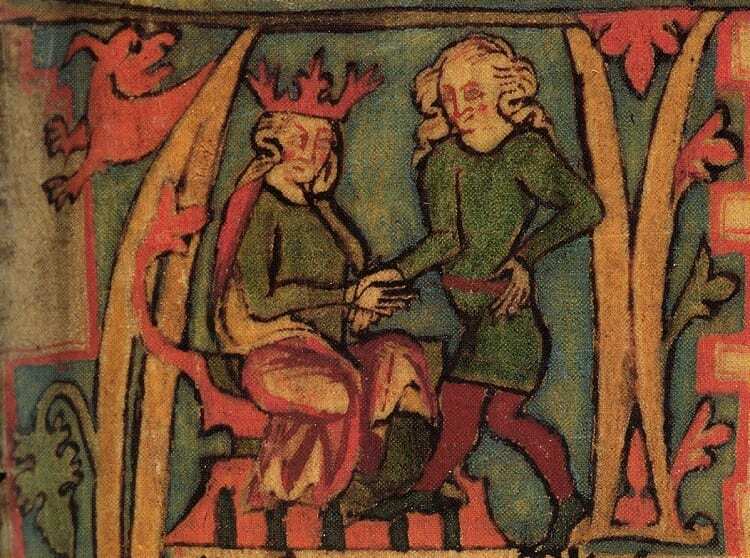 The Age of Sturlunga is commonly linked with Snorri Sturluson who moved to Iceland from Norway in the year 1262 when Icelanders had come to an agreement with the Norwegian King that he would rule both countries as one. The age is recognized as the age of Sturlung for the Sturlung family were prominent in the gathering of wealth which was defined this period along with harsh battles between the most powerful families in Iceland. 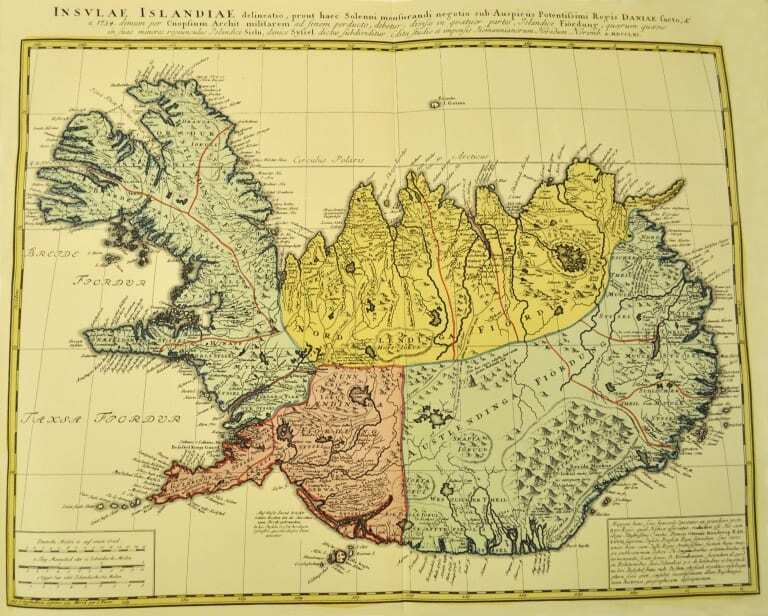 The country had been split into goðorð or regions which were now being passed from fathers to sons and some even sold off to those rich enough to buy them. Wealth was being spread between fewer people than before and with the building of episcopal in Skagafjörður in the North and Skálholt in the South came turbulence. Alliances with small Viking armies raided farms, and violent feuds were simply a part of life. The peace that Iceland had more or less held for 200 years was waning. 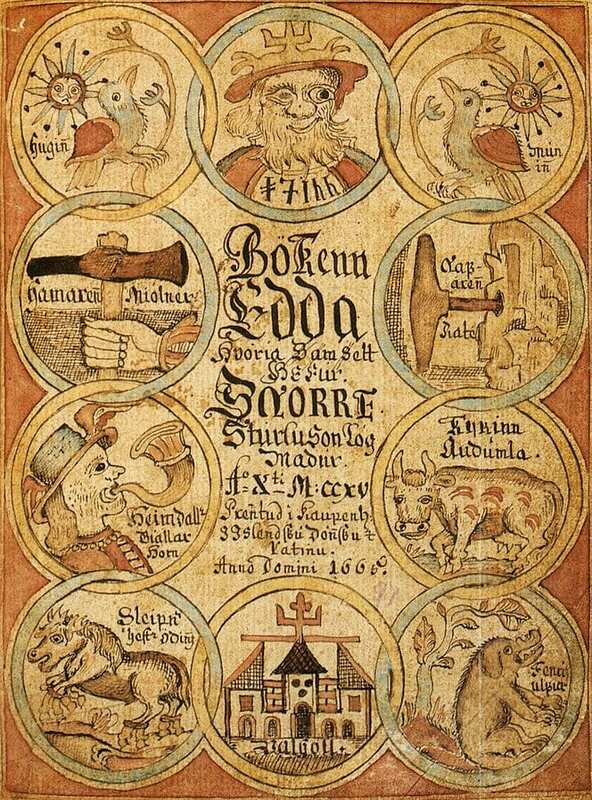 You can read about these tales in Icelandic Sagas such as Sturlunga Saga, Brennu-Njálssaga, Egils Saga and Gísla Saga Súrssonar. The Age of Sturlung is the dark hour in Iceland’s history and it was obvious that something had to be done. Hákon, Hákonarson was now king of Norway and this mayhem had not gone unseen by him, and so, he saw an opportunity to pursue the leadership of Iceland. He pressured the leaders and the new breed of wealthy aristocrats along with chieftains and priest to accept his power in the guise that he would dissolve their issues. In 1281 Icelanders were presented with a new book of laws to go by Jónsbók and Iceland officially became under the Norwegian rule. Quickly and surely Norwegians bishops were appointed to the two episcopal in Iceland and Icelanders started having to pay taxes to their Norwegian King. The chieftains started fighting for their namesakes which ended with the death of one of Iceland’s most beloved historian Snorri Sturluson. But it wasn’t only the people that were acting out, Hekla Volcano erupted three times during this age and covered a third of the island with ash. Following this eruption can a mini-ice age bringing hardship and winters like no others before them. What came next was the Black Death plague which killed half the population. This left the ones unbreakable spirit of the Vikings in ruined. The people of Iceland now looked for a savior. In 1397 the Kalmar union was founded, bringing Sweden, Norway and as would follow Iceland under the Danish rule. 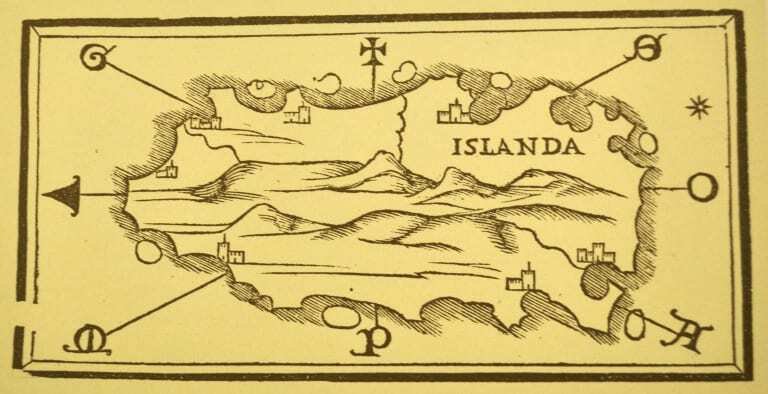 Peace was somewhat held in Iceland for a century but when an argument between the church and state led to the Danish government seizing the Icelandic Churches property and trying to impose yet another religion, this time Lutheranism (now year 1550) the stubborn Catholic bishop, Jón Arason would not accept. He resisted and retaliated and even gained some following but he was punished with death and the beheading of him and his two sons. Understandable, Icelanders were shaken up by this action of the Danes and frightened into controlled. What not followed was a crippling trade monopoly where Swedish and Danish companies became the only two countries to be allowed trading right in Iceland for 12-year periods at a time. This resulted in even more tough times for Icelanders that would last the next 250 years. Fun Fact: There was one positive thing to eventually happen as a result of the monopoly. This was the attempt to bypass the embargo and uplift the local industry which was done by the powerful town magistrate Skúli Magnússon (you can see a statue of him downtown). He built weaving, tanning and wool-dyeing factories which ended up as the leading foundation of the modern city we today know as Iceland’s capital, Reykjavík. Skúli is sometimes called the father of Reykjavík and was one of the most influential people in the Enlightenment which took place in Iceland. As if the mini-ice age, the volcanic eruptions, the black death and the impoverishment of the Danish overlords had not been enough now came the barbarian pirates. 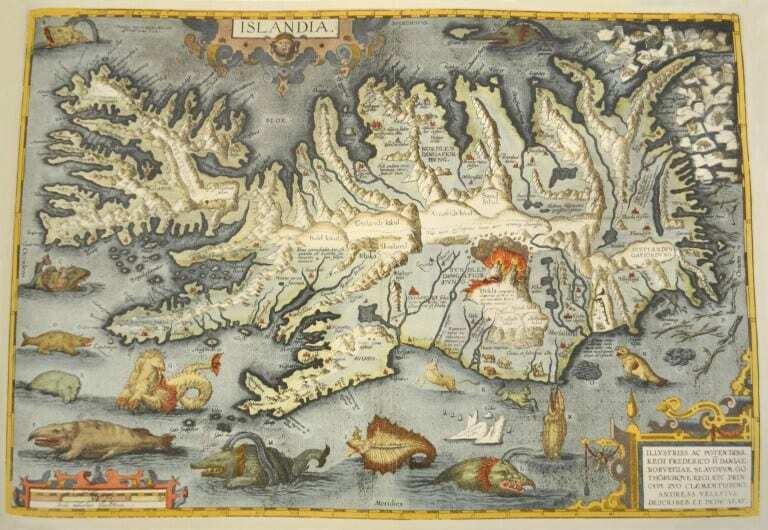 They attacked the island from many different fronts, raiding the Eastfjords and the Reykjanes peninsula before, perhaps the most famous raids of all, charged the Vestmannaeyjar islands in the year 1627. Icelanders who were completely defenseless tried anything they could to hide from the attackers, hid in caves and steep cliffs but their efforts were worthless against the barbaric pirates who ransacked the island, killing without a second thought and kidnapping 242 people aboard their ship. Those Icelanders were taken to the country of Algeria where most of them were ruthlessly sold into slavery. 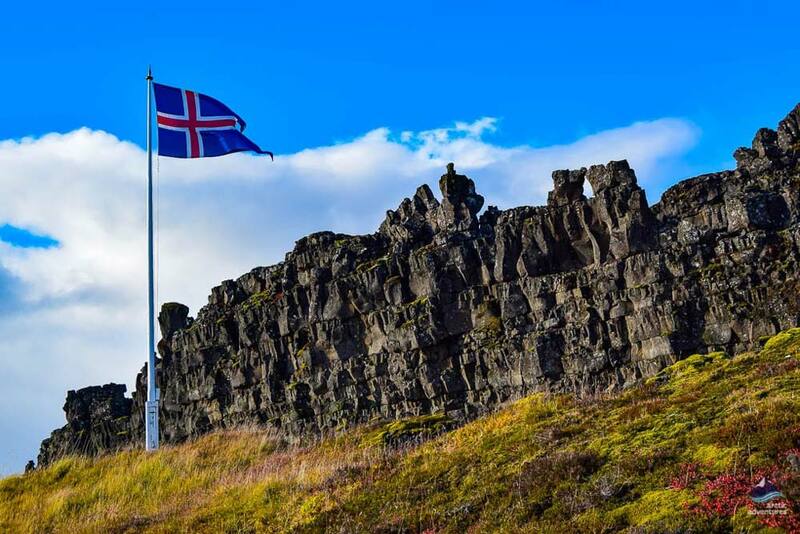 Back in Iceland, the people tried anything the would to free the captive and eventually were able to buy the freedom of 13 of the 242 with the help of the Danish King, Christian IV. The most famous of which was Guðríður Símonardóttir, nicknamed Tyrkja-Gudda who later returned and married the famous Icelandic poet Hallgrímur Pétursson who wrote the Passion Hymns. The three big bells at the towering Hallgrímskirkja downtown Reykjavík are named after the couple and their daughters. If you are interested in reading more about the story a book has been published about Guðríður and her tragic story which you can now find in German and Norwegian. To add even more mystical sense to this history which already included Vikings and Pirates, Icelanders were at the same time, during the 17th century facing a witch-hunting craze. This desire to hunt witches had spread all over Europe but was now hitting Iceland in an unusual way for Icelandic witches were mostly men! Over a period of time, 130 cases appeared in the Icelandic court with only 13 of them involving women which was very different to the scene in the rest of Europe. 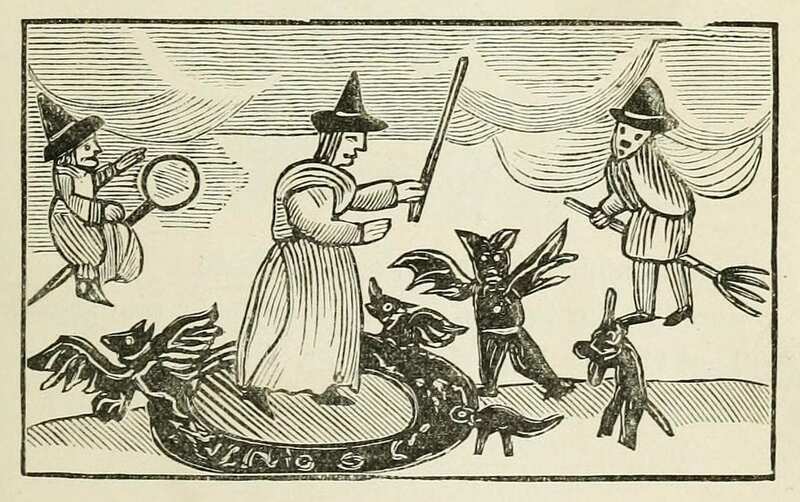 This which hunt eventually resulted in the death of 21 “witches” who were burned at a stake! The population of Icelanders was now about 50,000 people. Those were people who had survived through endless disasters and difficulties and somehow prevailed but what came next was not going to be any easier. First came 1707 with a powerful smallpox epidemic killing 18,000 people and then a series of volcanic eruptions: Katla in 1660, Hekla in 1693, Katla again in 1721 and only 6 years later, 1727 Öræfajökull, Katla again in 1755 and Hekla in 1766. Just when the country finally seemed to be cooling down Laki crater started spewing. With less than 20 years of rest, the country was now experiencing billions of tonnes of lava and poisonous gas clouds constantly flowing for eight months. Any life in the nearby area was consequently wiped out and fumes and what came with it, the death of plants and livestock, ended up leaving about 9,000 people dead. The eruption was so big and so powerful that is not only affected the isolated island in the North but also the whole of Europe leading a dangerous change in weather, including floods and acid rain! Fact: The tragedy that followed these endless eruptions was so great that the Danes, which still ruled Iceland contemplated taking in the people who were left in Iceland, relocating the Icelandic nation to the volcano-less Denmark. Now, Iceland had been oppressed by a foreign rule for a few centuries, a foreign rule which they had originally accepted to save themselves from, well, themselves but it had not given them the results they had hoped for. At this time there was a growing sense of liberalization all across Europe and the Icelanders who were studying in the Scandinavian countries did not go un-influenced. The ideas of an independent Iceland was already there but the final drop came with the World Fair where all the biggest nations in the world were showing off their colonies and the uneducated people they ruled. The Danes had plans to display Icelanders as such but met strong residence. Icelanders simply wouldn’t have it! By the year 1855, an Icelandic man studying in Denmark named Jón Sigurðsson had taken it upon himself to restore the free trade and get rid of the monopoly which had caged Icelanders for a long time now. By 1874 Iceland had drafted a constitution and regained authority of its domestic affairs. During this time the first official political parties were formed in Iceland and urban development was in full swing. Still, all this change was not enough to keep the nation united as one. There has simply been too much suffering, political, climate and geological burdens left the nation looking for new places. Between the years 1870 and 1914, about 20 thousand Icelanders flocked to Canada and North America, about 7000 to Brazil and about 3000 to Australia. The move to Canada is the most famous one and the people who did were called Vestur-Íslendingar or the Icelanders of the West. In Northern Canada, around Winnipeg and Alberta, you can actually find Icelandic names of places, farms and people (Hecla, Sigvaldi, Loa, Kristianson, Eyrarbakki). This emigration was mainly caused by the lack of opportunities which awaited here in Iceland, even with the growing fishing industry the jobs weren’t sufficient. The people were looking to escape the hard labor, the rough weather, and the rural living. It also didn’t help when Askja erupted in 1875, yet another volcanic eruption which spewed poisonous ash killing the livestock in the area. Those who stayed still wanted independence and in 1918 a contract was signed, the Act of Union, which freed Iceland from the Danish Rule. Iceland was now an independent state but stayed within the Kingdom of Denmark, we were more than halfway there! It wasn’t until World War II that the final step was taken. Denmark which at this point had been occupied by the Germans did, understandably, not have the ruling of Iceland as a priority. Iceland had prospered during the war as all their main products had risen in prices, meat, fish and wool. 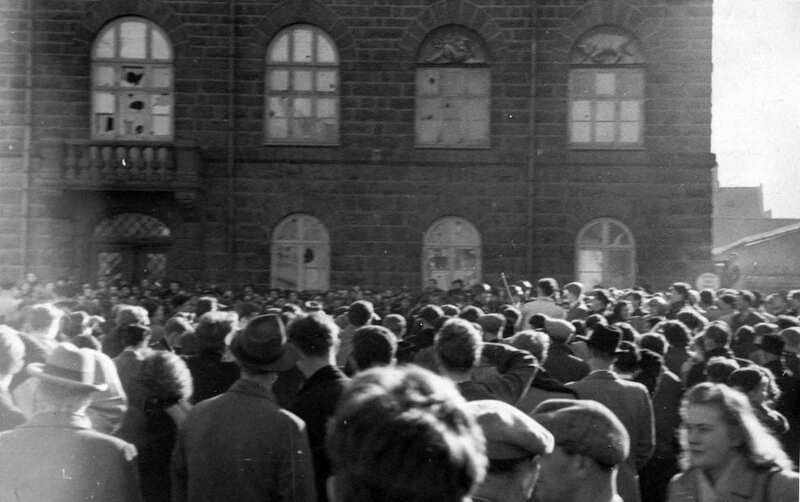 The Icelandic parliament, Althingi saw an opportunity to really seal the independence and on May 17th, 1941 Icelanders finally requested to receive their full independence. The formal establishment of the Republic of Iceland finally took place at Thingvellir National Park on the 17th of June in 1944. The 17th of June is Jón Sigurðsson birthday, the man who started it all and this date is today celebrated as nation’s Independence Day. Sveinn Björnsson was voted Iceland’s first president and the Danish King Christian X sent a message of congratulations to the Icelandic people. During the wartime of the World War II Iceland was left in a very sensitive situation. Not only was it located between Europe and the United States but also completely defenseless, with no army or force. To make sure their enemies wouldn’t use it to their advantage the British army occupied Iceland in May 1940. This has been described beautifully in history books when Icelanders stood down at the harbor, they saw a ship but not which flag it had up. When they saw it was the British flag they were greatly relieved and accepted the situation. A year later the British left and the US troops came in. They spread all over the country and like the British had done they brought in things that had never before been seen in Iceland. Things like tights, chocolate and chewing gum. The soldiers’ presence changed a lot in Iceland and caused tension. In 1946 the US military officially left Iceland but with the promise that if a war broke again they could re-establish a base at Keflavík but now that Icelanders had finally regained power, one they had worked so hard to earn, they would not give it up again so easily. So, when Iceland was pressured into becoming one of the founding members of NATO three years later riots broke out in the capital. Still, Icelanders ended up agreeing to the proposition but only under the conditions that during peacetime no troops were to be based in Iceland and that we would never ever take part in offensive action. Even with this contract, the conditions were soon broken and in 1950 the US military showed up again. War with Korea had begun and a year later, worried about the Soviet threat the NATO requested the US to take responsibility for the island’s defense. The United States Military didn’t fully leave Iceland until the year 2006. Iceland has, at least since we stopped going Viking, held a reputation as being a peaceful nation. A nation of no army, very low crime rate, unarmed policemen and incredible equal rights for the sexes but, actually, Iceland has been at war, and the most remarkable thing about, WE WON! The only war Icelanders have ever officially taken part in was the Cod Wars. In Icelandic, it is called Þorskastríðið or Landhelgisstríðið which roughly translated the war for the territorial waters which is very descriptive of the reason for it. The war was basically a series of confrontation between Icelanders and British over fishing rights in the North Atlantic ocean each of which ending in the victory of Iceland. How? One might ask and rightly so. Icelanders actually made enormous ocean scissors and attracted them to their ships. Then they sailed close up to the British ships they believed to be fishing within Icelandic territory and cut their nets. Never actually harming any humans but simply ruining their fishing. After the third Cod War in 1976, the United Kingdom finally agreed to the territory as a being Icelandic. It is important to note that as this time Icelanders had gone as far as threatening to leave NATO if they wouldn’t stop. 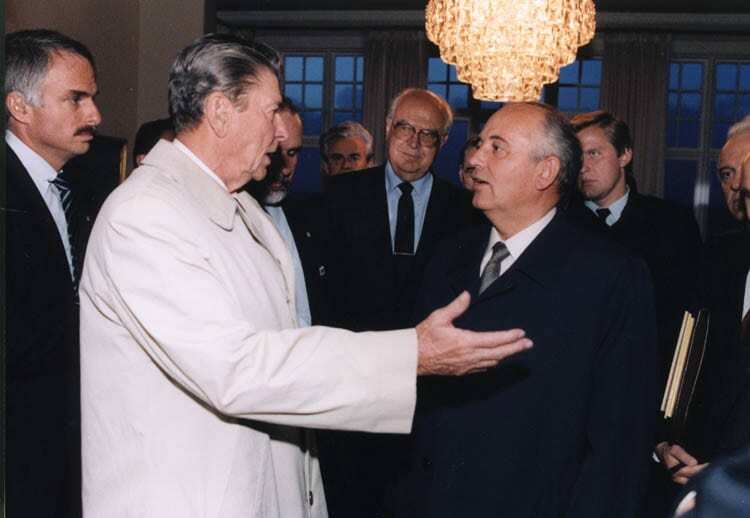 One of the more memorable events to occur in Iceland later in the 20th century was the meeting of Mikhail Gorbachev and Ronald Reagan in Reykjavík in 1986. The two leaders were coming together to discuss and prepare for the leader meeting in Washington a year later. Unfortunately the talk did not end with a clear decision but was an important step in the progress which led to the 1987 Intermediate-Range Nuclear Forces Treaty between the United States and the Soviet Union. In 1989 a less historical event took place but an important step to many Icelanders as the Beer Ban which had held for the majority of the 20th century was lifted with grand ceremonies all around the country. The same year a big step towards equality was taken in Iceland when the country elected its first female president and more remarkably the first democratically voted female president in the world. Miss Vigdís Finnbogadóttir took the presidency in 1989 and served until 1996. In 2008 the big financial crash hit Iceland hard with actual bankruptcy of the country’s banks along with many of its companies. What was to save the country later was tourism! In April 2010 the powerful Eyjafjallajökull stratovolcano started erupting without much notice completely shutting down all air traffic passing Europe. The erupted officially ended on the 22nd of May the same year. In 2018 the Icelandic Men’s Soccer Team qualifies and played for the very first time at the World Cup making history as the smallest nation ever to qualify. Unfortunately, the team did not go any further than its three games but the nation followed the team to Russia like they had done at the EU tournament two years prior.